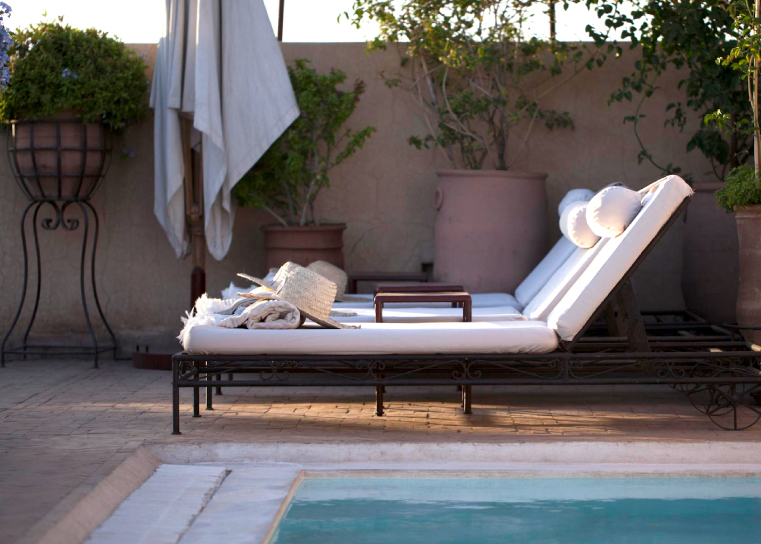 The cuisine of the Riad is designed for the traveller. It has a simple but careful menu that combines moroccan specialties and international delicacies. The typical moroccan briouates, the delicious tagines and the classic couscous mixed with the gazpacho and quiche lorraine. Our cook, goes daily to the local food market to buy fresh products for the meals of the day. Any dish can be served on the terrace or indoors. 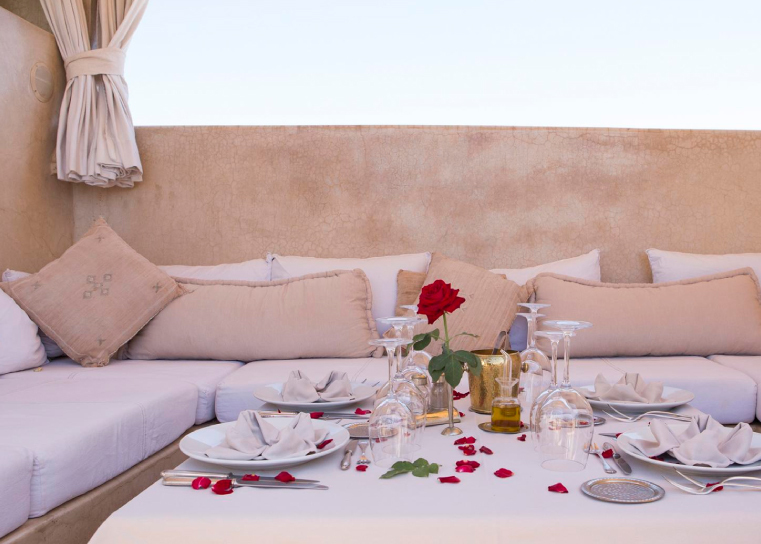 During most of the year, the client will be able to enjoy the swimming pool of the Riad Abracadabra located on the roof, with views of the Koutoubia and the Atlas mountain range. Bar at the Riad is permanently open with our staff at your service. The terrace bar serves selected cocktails, quality wines, appetizers and our popular Express Menus. 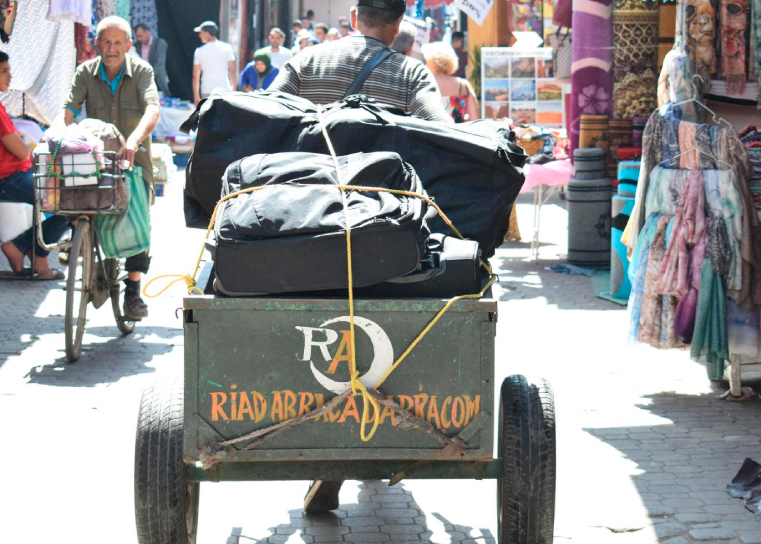 Riad Abracadabra offers you massage service at the same Riad with which you can relax. Different massage options available: therapeutic massage, sports massage or tonifying-relaxing massage. 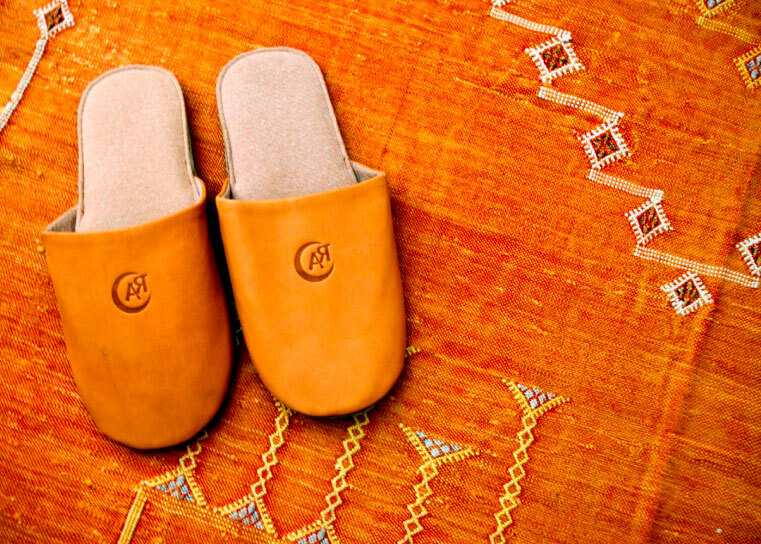 We also provide personal hairdresser, manicure and pedicure service at the Riad. Consult schedules, prices and availability to our staff. 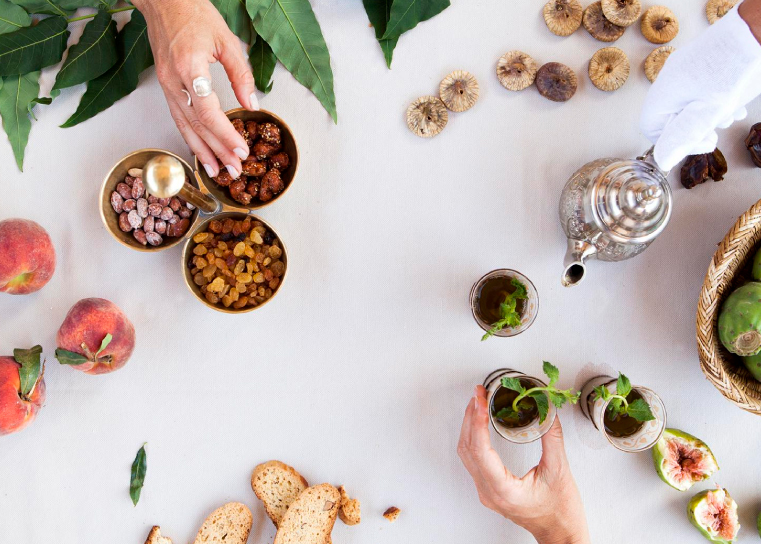 Riad Abracadabra offers Moroccan cooking workshops based in the success of its restaurant. The Workshops conducted by our main Cook, with more than 15 years of experience, starts with a visit to the fruit and vegetable market and are held in the small cosy kitchen at Riad Abracadabra. The lesson can be given from 2 attendees up to a maximum of 6 persons due to space restrictions. Once the Workshops are finished, participants dine on the meal they have prepared. In order to organise your airport transfers, we will just need the details of your flights. Please ask to our staff. 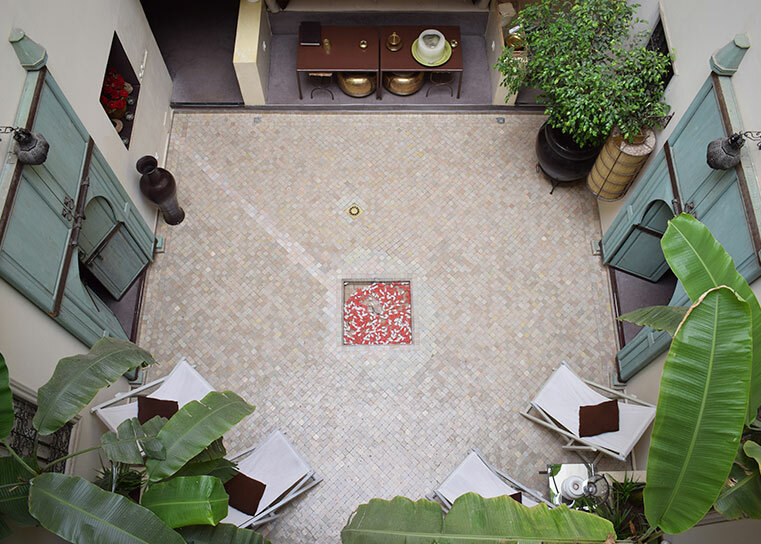 The Riad can be booked in excluvity for weddings, celebrations, anniversaries…etc. The price per night and for an occupancy of 16 persons is of 1.250 €. (Consult for extra beds. Price of 40 € per night). You can contact us for further details through our contact form. Rates can vary depending on the season. 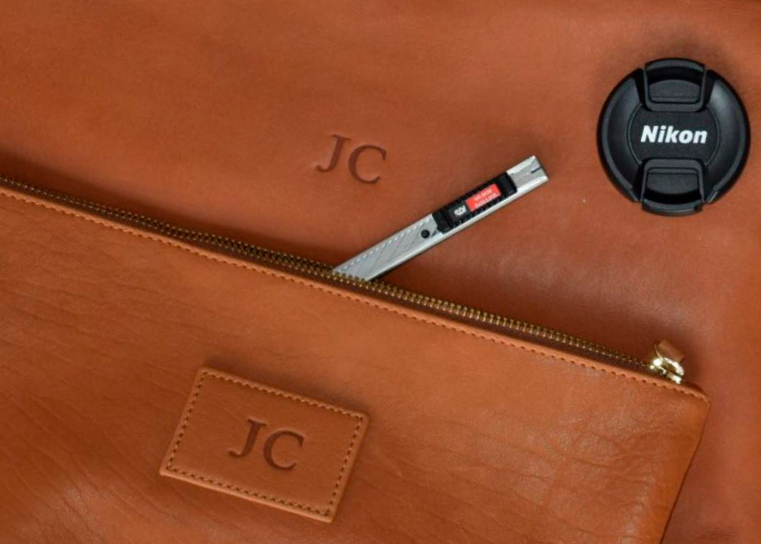 In our front desk you will find a selection of productes of our brand Abracadabra store with 100% natural leather items.